More issues...engine intermittently stumbles under load. Well, if it's not one thing it's another. Engine is a 16v bluetop largeport. Today approx 30 mins while driving the 86 down a straight away in 4th gear the car started to stumble when I would give it gas. it would not accelerate but instead start bucking almost. The rpms were jumping up and down ~1000rpm....i'd let it out of gear and it idled fine.... so I was doing this limping home and then it went away and the car started to run normally. Then a few blocks from my house it started doing it again. So much so that when I got down to first gear, it would not accelerate at all. I then took it out of gear and tried to rev the car in neutral and it would not rev but only stumble. Then the car died on me. Waited a few seconds and I started the car again and it ran just fine all the way home and I pulled in the driveway and immediately came inside to write this message. Fuel pump? Please help! This car is driving me crazy! like something is getting clogged or the fuel pump is dying. adjustable FPR with gauge. And I don't want any more gauges inside the car. 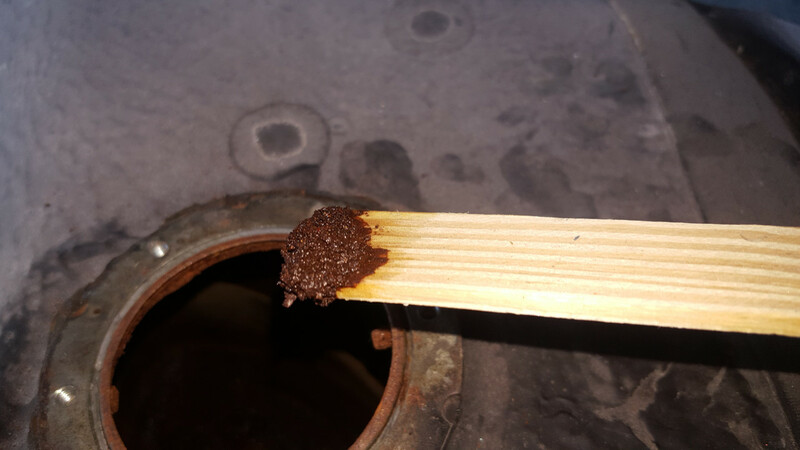 the B&M gauge on top of the filter. The input side of the fuel filter is 1/4" NPT, just thread in a pressure gauge there. Min should be around 40 PSI. UPDATE: i was able to rent the tool from autozone...fuel pressure tester kit and they had a perfect fitting to fit at the cold start injector line on the fuel rail....so I tapped in and it seems all was well. But also note that I couldnt test it with the engine under load or in gear...i was just revving it in the garage. Here are the fsm numbers at a,b and c.
Ps- guy at autozone said I could have issue with fuel oressure regulator and it not hold vacuum. But what do you think about the pressures results? Thanks. do you have a spare AFM? oldeskewltoy wrote: do you have a spare AFM? I have one for an mr2 4age 16v....but I did test the afm and everything was spot on... think I still should try it? just revving it in the garage. the engine decelerates, you get a little more vacuum. then without turning it off, stop, pop the hood and check the gauge. tank filter, or the pump gets hot and starts to play up. Something along those lines. 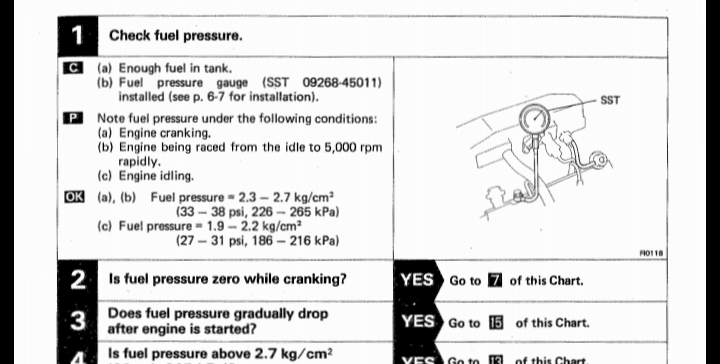 The best method for checking pressure is verifying the pressure with and without the vacuum line attached to the PR. Thanks Davew7, I agree with this..... what fuel pump would you recommend? I think you're right sir. I think I'm just going to invest in a new fuel tank and pump and filter. Should I go all out with a Walbro? Or would any pump for our car from Rockauto.com be sufficient? Hmmmm, I don't know if the MR2 one will work, (it may). And what's the harm, plug it in, and drive it.... see what happens. is no need to upgrade to a Walbro. 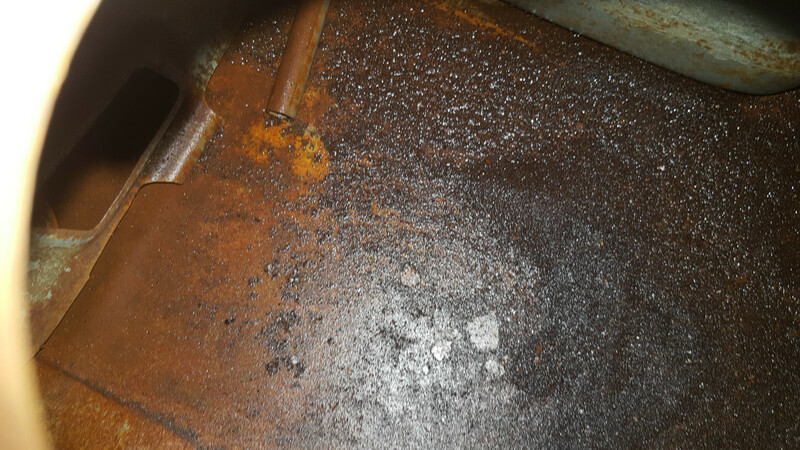 many years in a cold garage that allowed condensation to form inside the tank. are not sold here as the shipping costs to NZ are too high. Got home from work a little early today so I decided to drop the tank and pull the fuel pump out and see what it looks like. 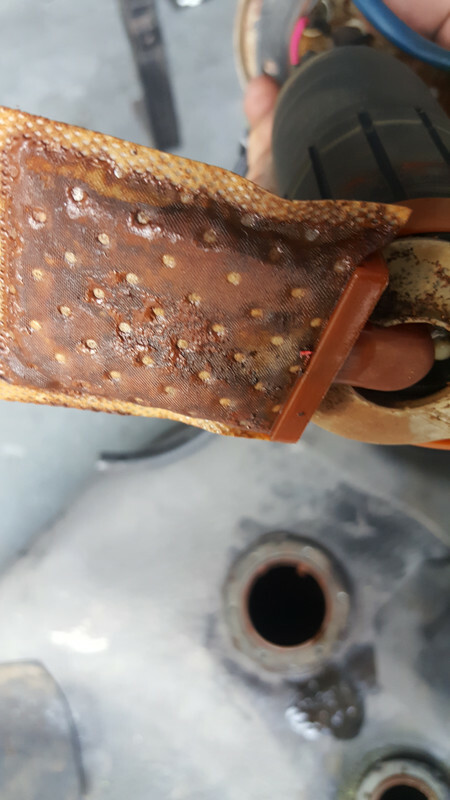 Well needless to say it was quite Rusty in the tank and the sock on the bottom of the fuel pump looked quite clogged as well. It just baffles me how or why the car was having the herky jerks and eventually just died on me...but then a few seconds later I start the car and it runs fine? opinions? Neighbor had similar issues with a mid 50's 8N Ford tractor. 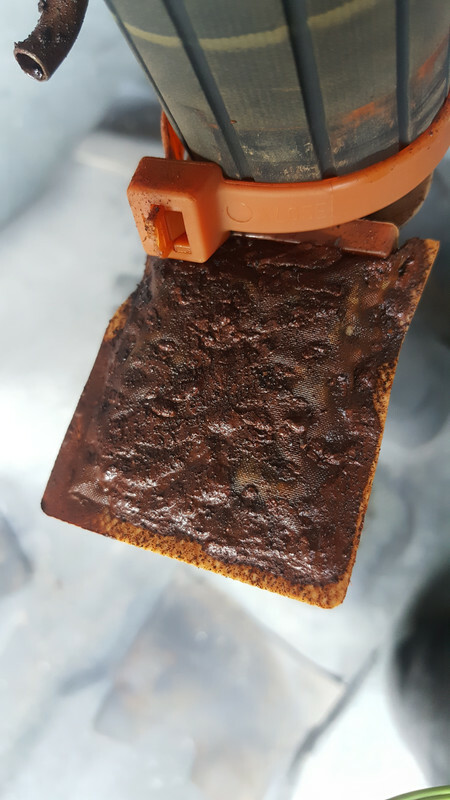 Had rusty sludge in the tank, thought he was out of fuel so he opened the reserve - thus dumping all the sludge into the carb and a pair of filter screens. It'd start up and idle fairly well, but under load choked out lean and stumbled/died. The filter sock probably clears off enough to restart and run a bit after sitting, but nowhere near enough fuel capacity for load. 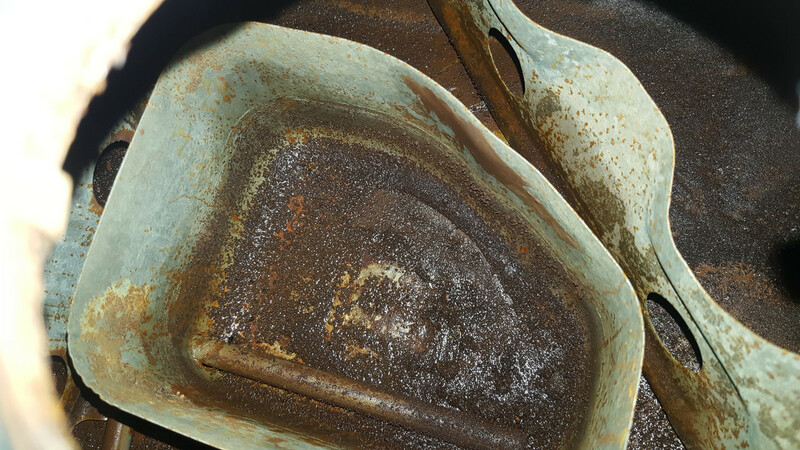 If you drop the tank, consider stripping and epoxy coating the inside. Don't forget a new fuel filter as well. Dirt cheap on rock and will likely be half clogged along with the pump. Not fuel related, but I had similar symptoms because of a broken lead from the coil to the distributor cap. Was making intermittent contact and acted very similar. Someone (likely me) pulled the wire and fitting apart ever so slightly. Took a long time to find as I didn't suspect the brand new NGK wires, lol. Nick94tt...thanks a lot for your input! I appreciate it. I'm probably just gonna get a new tank and pump....and yes, as you mentioned, fuel filter . Also gonna blow the lines out too while they're disconnected. Took it for a drive and everything runs good...but I need to take it on an extended drive to see if it acts up again like before...fingers crossed. Nicely done. The long drive should tell you pretty much all you need to know. I'm not a huge fan of additives but some cheap injector cleaner or marvel mystery oil in the gas (stabil as well) may be worthwhile. If you've got a stethoscope you can easily verify all the injectors are cycling correctly - or at least evenly. Given their age any car that sits would probably benefit from a serious cleaning. Sitting still can be the death of old cars, lol. I recently put about 1400 miles on my supra (that doesn't see much of any long distance driving, still under 89k miles) and picked up a couple mpg after the extended drive and some system cleaner. Well after putting around 100 miles on the Corolla it looks like the issue is gone (knock on wood). Not even a slight hickup. So i'm very happy to have positive results. Once again, thanks to all of the help.